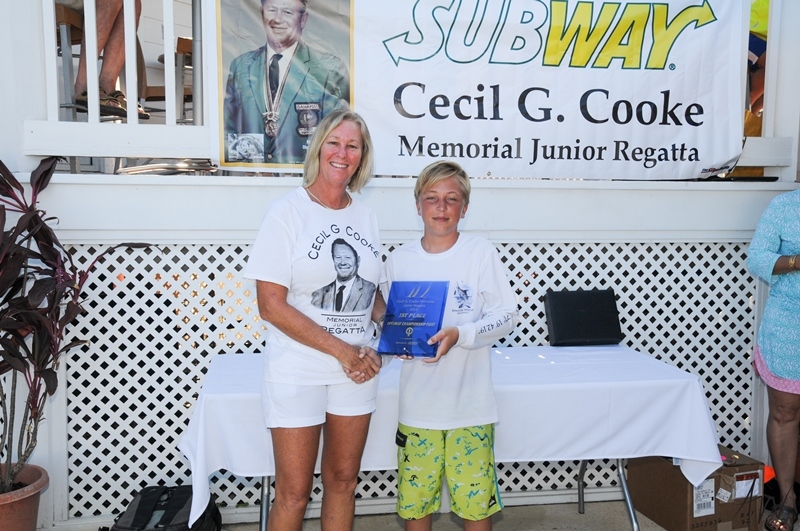 2015 was the second year The Bahamas National Sailing School and Nassau Yacht Club have hosted the Cecil G Cooke Memorial Jr Regatta. Sponsored by Subway and organized by Sandra Cooke, this regatta honors the late Cecil Cooke, one of this country’s great sailors who competed with Sir Durward Knowles’ in the 1960 Tokyo Olympics when they won the first ever gold medal for The Bahamas. Having a great interest in youth sailing, he would have thoroughly enjoyed this weekend’s event, as did all the youth and parents who participated. This regatta was the largest junior sailing event ever in Nassau and is one of four major junior regattas held each year in The Bahamas, attracting sailors from a number of family islands. 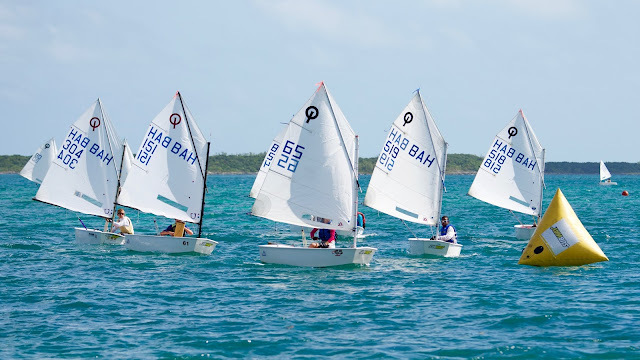 With 57 Participants from New Providence, Grand Bahama, Harbour Island, Long Island and Abaco, the results showed just how competitive our young sailors are throughout the country. 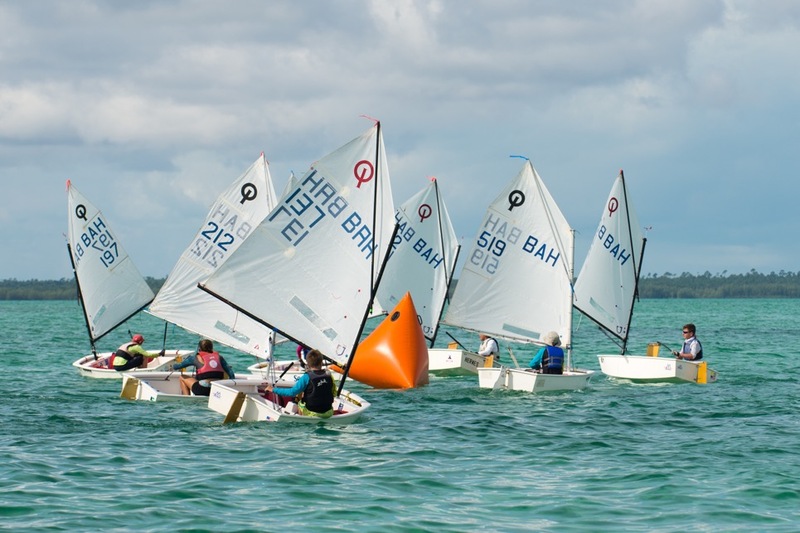 These juniors, depending on age, size and skill level, raced in different classes/fleets, such as the Optimist Dinghy Championship Fleet for experienced 8 to 15 year olds, Optimist Green Fleet for beginners, Sunfish, Laser Radial and Laser 4.7 for older more advanced sailors. Sailing conditions for this two-day, seven-race regatta were perfect with a steady 10 to 12 knot breeze out of the east. While there are winners of each fleet, the overall winner and sailor whose name is inscribed on the Cecil G. Cooke perpetual trophy is the first place finisher in the Optimist Championship Fleet as this is the class in which our juniors begin their sailing. It is the youngest group and because of this, the group Cecil Cooke would have been most supportive of. That said, the overall winner this year is Tristan Eldon, a 13 year old from Nassau. He won convincingly in this competitive 26 boat fleet by placing first in all seven races. 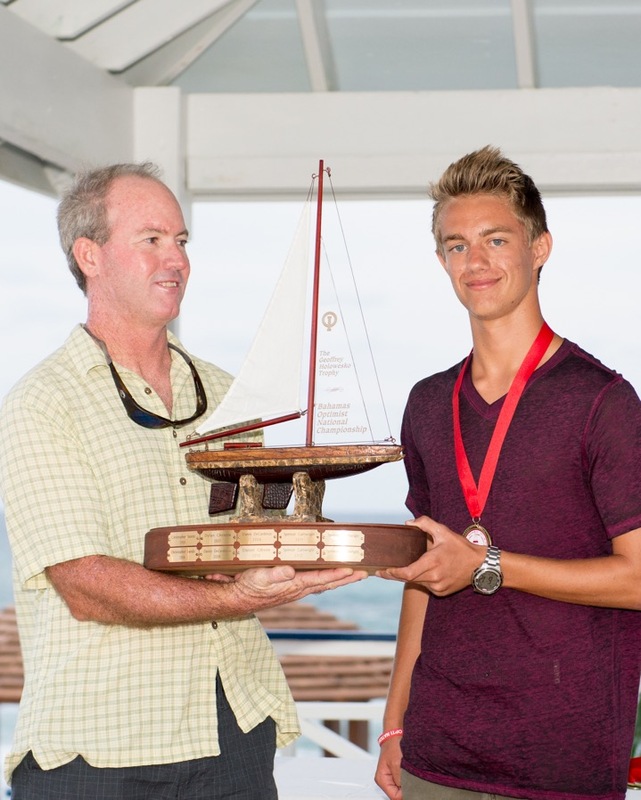 This makes it his third major win this year, the other two being KPMG Championship Regatta and The Bahamas Youth Olympic Regatta. The Long Island trio of Isaac Fox, Luke Knowles and Enrique Wells battled it out for the second and third place trophies. Isaac and Luke were tied for second place and Enrique was one point behind them. 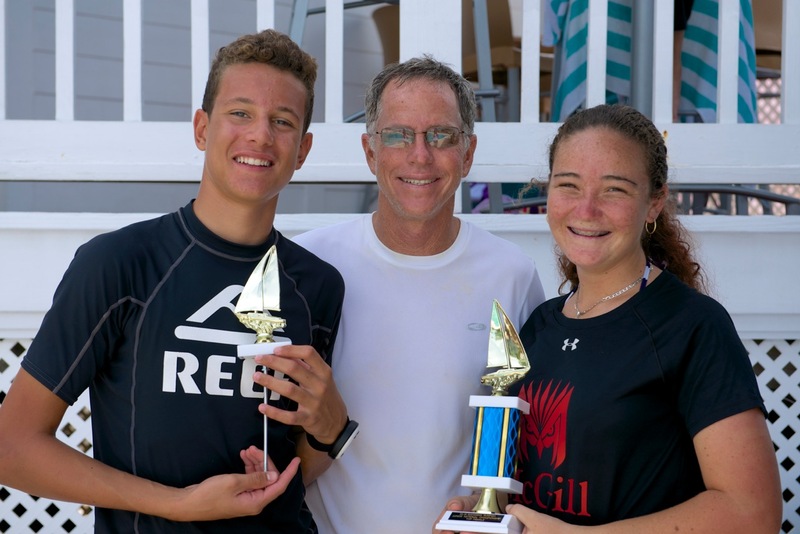 Isaac won the tie-break which gave him second, Luke was third and Enrique took fourth with Melisha Higgins from Harbour Island taking top female. You couldn’t have asked for any closer or more exciting racing. Carson Miller from Long Island won the Optimist Green Fleet, with Joshua Weech second and Jaxon Parker Searcy third, both from Nassau. Helena Wassitsch took top honors in the Sunfish Fleet closely followed by Jaqueline Frode, (both from Nassau) and Harbour Island’s Antwuan Dean took third. The Laser 4.7 class was won by Tahj Ramirez with five firsts and two seconds. Robbie Carey took second and Daisy Tinkler third – all from Nassau. 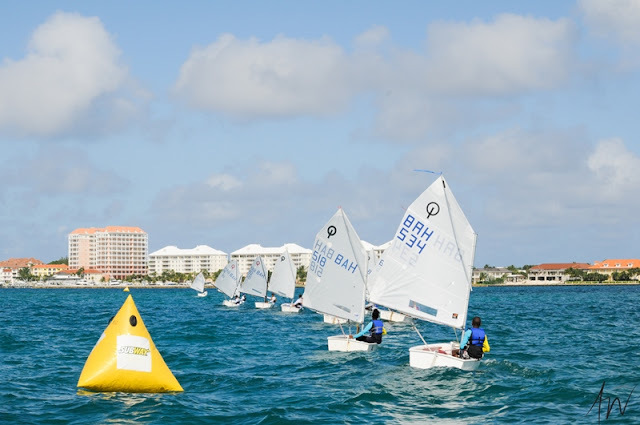 The Laser Radial class, in which our most advanced sailors compete was won by Spencer Cartwright of Nassau with five firsts and two seconds. Branden Sands from Cherokee Sound, Abaco was second and Cochise Burrows from Nassau was third. Congratulations to all the sailors and a special thank you to Subway for sponsoring this event, now our most popular mixed class junior regatta in the country. Branden Sands from Abaco beats the odds; wins Optimist National Championships held in Abaco waters. Hailing from the tiny settlement of Cherokee, Abaco Branden Sands and his younger sister Rachel showed their more experienced big city rivals from Nassau just how to do it. 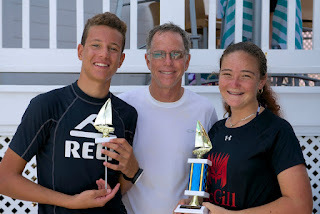 The only youth sailors in their tiny settlement, Branden and Rachel largely train in a bubble of their own on Cherokee Sound with their father coaching them but without the benefit of being able to train with other sailors on a regular basis. 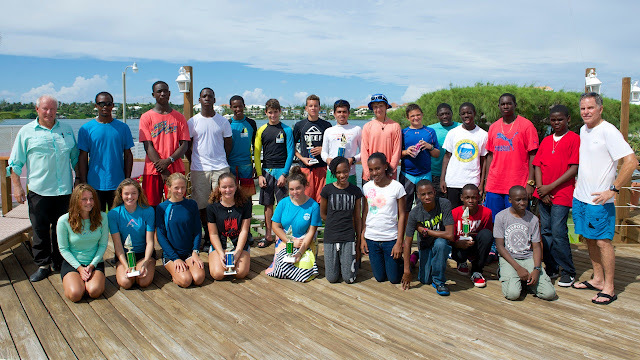 When possible, their parents make the 40 minute trek with them to Marsh Harbour and send them on the ferry to Hope Town, Abaco's only active junior fleet with experienced coaches. The perseverance of both he and his sister and the extensive encouragement of their parents Tim and Julie Sands is commendable. Truly impressive is that, with the exception of attending a number of regattas and training sessions in Nassau in the past two years, Branden has trained with no real competition save that of his sister. Racing in big fleets requires skills sets very different than those that can be learned while training with only one partner. Branden showed that he learned his lessons well during his various forays out of Abaco. 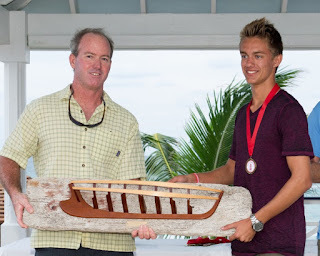 In a fabulous event held for the first time in Abaco hosted by the Hope Town Sailing Club and delayed from it's original October 3-5 dates by Hurricane Joaquin, 15 year old Branden won a closely fought battle to emerge the clear winner over four time National Champion Spencer Cartwright, who took second and Tristan Eldon third, both from Nassau. In a fleet of 30 boats Top female finisher was Melisha Higgins of Harbour Island in sixth place overall. Branden's sister Rachel topped her age group of 11-13 year olds and finished 11th overall. Noah Simmons of Harbour Island took top honors for 8 to 10 year olds. 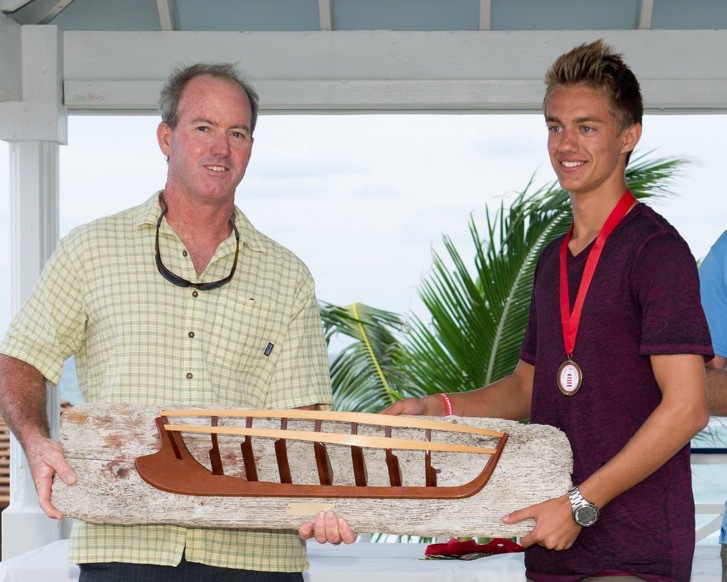 Top in the 19 boat Green Fleet for first time competitors was Joshua Weech from Nassau. 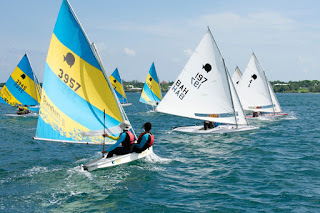 The ascension of the Family Island athletes is a testament to the hard work and tireless involvement of the parents and volunteers in each of the communities who operate their sailing programs with guidance from the Bahama Sailing Association. 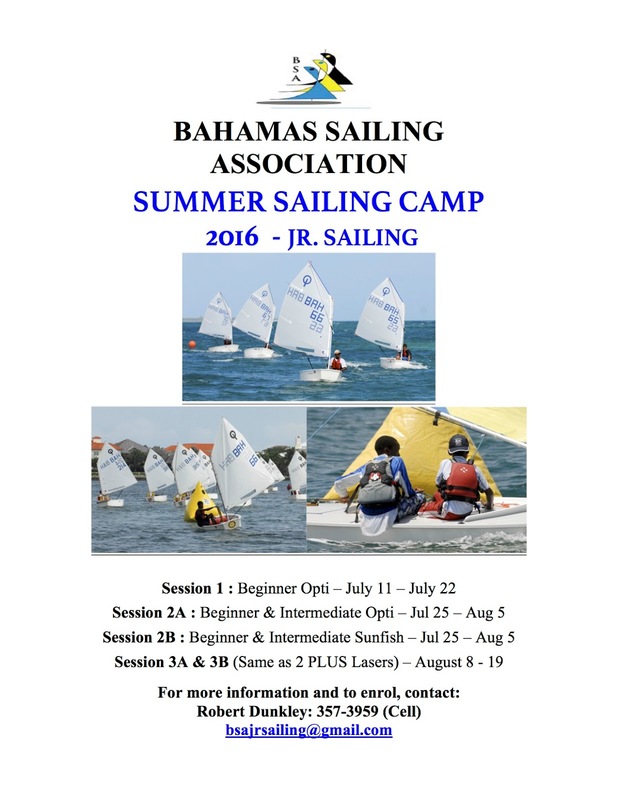 Competitors attended from Abaco, Grand Bahama, Harbour Island and Nassau. 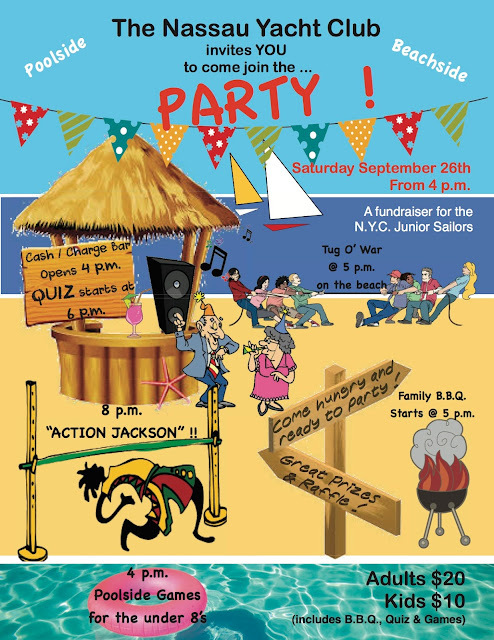 Sadly missed were the competitors from Mack Knowles Sailing Club in Long Island who were unable to attend due to the difficulties of transport and communication in the aftermath of Hurricane Joaquin. Understandably, their communities were focused on the restoration of the schools and rebuilding their homes and lives. This win was made all the sweeter for Branden coming in his home waters and because it was his last year of eligibility in the Optimist Class. The Optimist Class is the largest class of sailboats in the World, targeting children and youth from 8 to 15. The youth sailing community is waiting with baited breath for next year's Nationals in which Melisha and Rachel are expected to set the stage for a future of powerful if petite female Bahamian sailors. 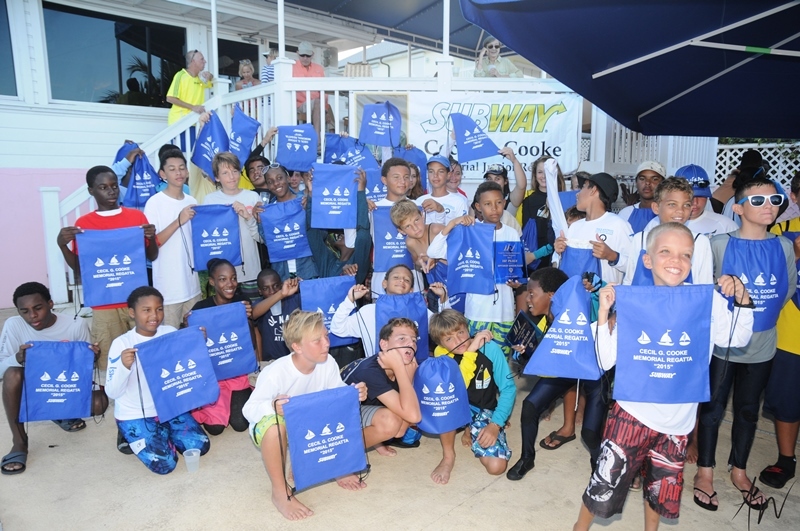 This past weekend, September 19 & 20, Nassau Yacht Club hosted the Annual Bahamas Junior Sunfish National Championship. 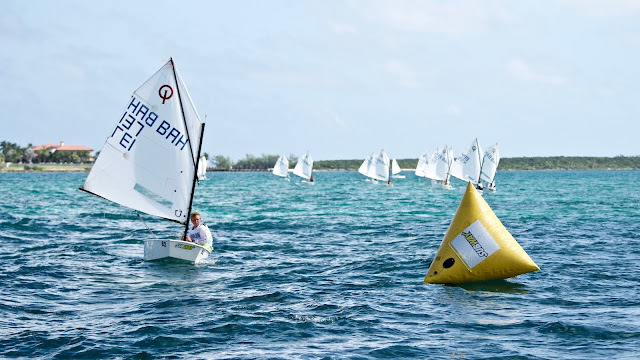 Spencer Cartwright who is the current and 4 times National Champion in the Optimist Dinghy class has now won the Bahamas Junior Sunfish National Championship for his first time. Pushing hard and in the mix for top honors was Cochise Burrows. Such close racing made for a very suspenseful and exciting series. In the end Spencer beat Cochise by three points. Melisha Higgins and Katelyn Cambridge (Harbour Island) #3957 coming out of the start in race #1. Winds throughout the weekend were light to moderate and fairly shifty from the west, which made for fun and interesting sailing. When taking the lead in any of the races it was extremely hard to keep it. Positions, particularly in the last race constantly changed. One might say it was all about luck but in reality it was very much a game of patience, “heads-up sailing” and outthinking the opponents in this twenty boat fleet. Cochise Burrows (#197) leading the race with Spencer Cartwright (#3941) right behind him. Thirteen sailors form Harbour Island and one form Long Island participated and sailed extremely well. Paloma Cartwright from Long Island was fifth overall and received honors as the Top Female. Sailors racing were ages 12 to 17, with an average age of 14. Almost all of them learnt to sail in the Optimist Dinghy class and have now been sailing a few years. As Coach Dunkley put it, “ It is impressive to see how well the youngsters from Harbour Island and Long Island are sailing. 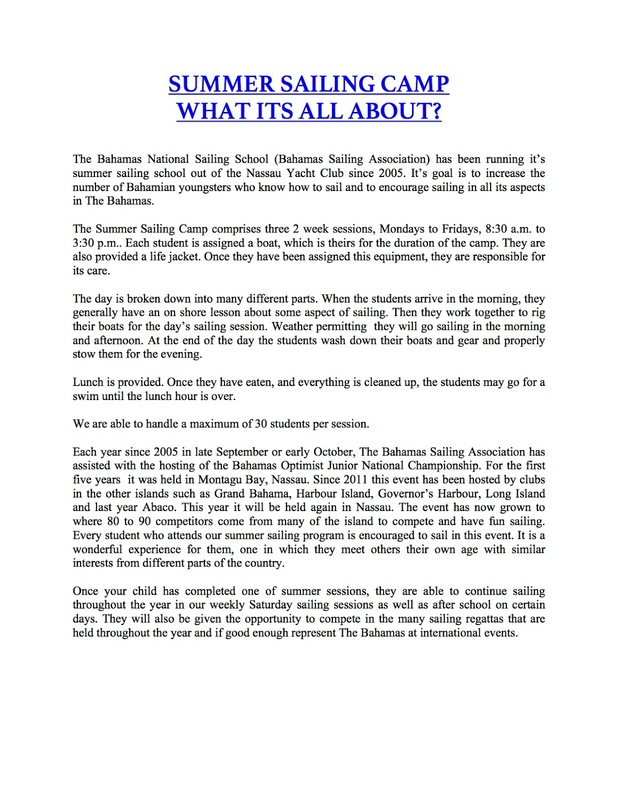 It is obvious their sailing schools and clubs do a tremendous job in teaching them. So while we congratulate the youngsters for their outstanding performance I would also like to congratulate the organizers and coaches in these communities – The Higgins family in Harbour Island, especially Melvin Higgins who coaches the kids a number of days each week and the Cartwright families, especially Zoe and Mellisa in Long Island, who do the same. It is always a pleasure to have them sailing here with us”. 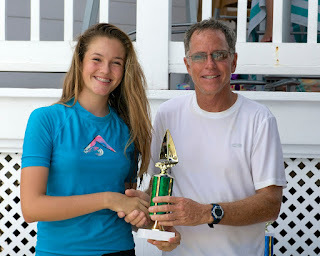 Daisy Tinkler receiving her Silver Place 1st place trophy. Due to the number of competitors and not enough boats we ran with a round-robin format on the first day which determined who sailed in the Gold Fleet (top half) and Silver Fleet (bottom half) on the second day. Trophy winners were; in Gold Fleet, first place Spencer Cartwright (Nassau), second place Cochise Burrows (Nassau), third place Conner Pinder (Nassau); overall Top Female Paloma Cartwright (Long Island); Silver Fleet, first place Daisy Tinkler (Nassau), second place Madison Martinborough (Nassau) and third place Joshua Higgins/Collen Woods (Harbour Island). Spencer Cartwright, Overall winner & Paloma Cartwright, Top Female with Donie Martinborough, Int’l Sunfish Class Representative. Congratulations to all the sailors and a special thank you to the Nassau Yacht Club for hosting this event and again to the Bahamas National Sailing School sponsors Bahamas Hot Mix, East Nassau Rotary, KPMG, Bahamas Ferries, Royal Bank, Coca Cola, Odyssey Aviation, Cable Bahamas & Cable Cares, Kerzner Corp., Ministry of Sports, Ministry of Education and Ministry of Agriculture. 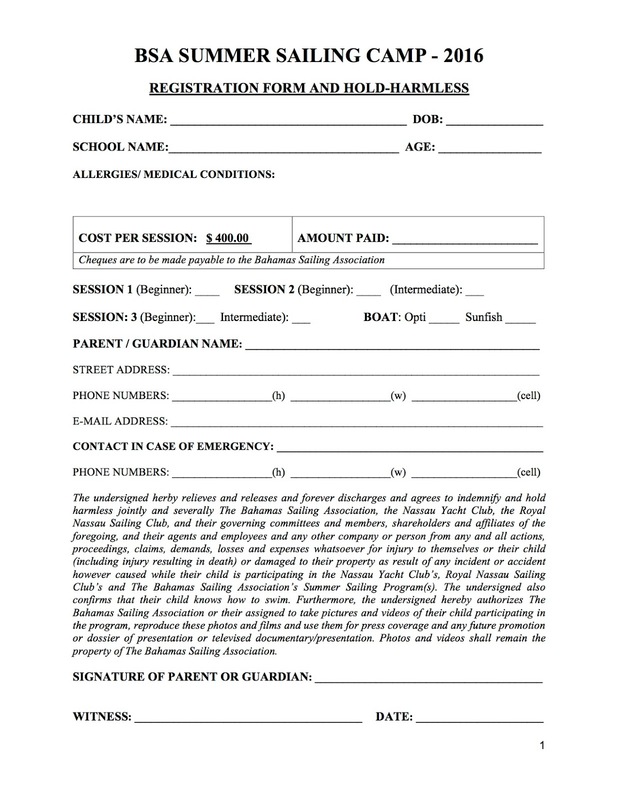 Webmaster: BBurrows@SailFast13.com © 2012 Bahamas Sailing Association. Picture Window theme. Powered by Blogger.